In Niagara Falls, we have a unique effect on people. Surrounded by spectacular natural scenery, world-class amenities and one of the great wonders of the world, visitors to our city often find themselves holding their breath. Here are just a few reasons why Niagara Falls is perfect for your next event or meeting. With three international airports (all less than 125 km away), and within a day drive of more than 55% of the U.S and Canadian population, as well as great train, bus and public transit options, getting your delegates to and from Niagara Falls is a breeze. 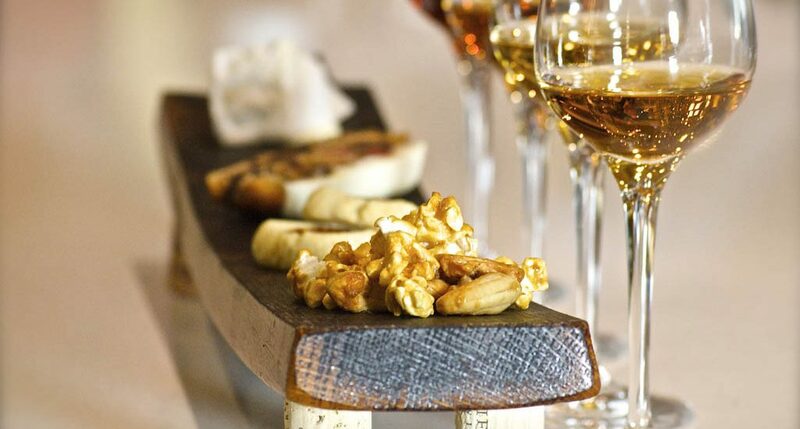 Home to one of Canada’s hottest wine and culinary scenes, people who love food, love Niagara. World-class wineries, fresh local produce and a crew of top-notch chefs who are redefining Canadian farm-to-table fare create unforgettable dining experiences your delegates will adore. Memorable venues create memorable events, and Niagara Falls has creative options like shipboard receptions, winery barrel cellar dinners and meetings overlooking our famous Falls. When it comes to leisure time, Niagara Falls offers delegates outdoor experiences they won’t find anywhere else. From zip-lining over Niagara Falls, to wine country cycling, hiking through the Niagara Gorge, paddle boarding on the Niagara River or hitting the greens on our world-class courses, there are endless options for fresh air fun. No matter the month of the year your event is planned, there’s always something exciting happening in Niagara Falls. In fact, when the temperature drops, things really start to heat up with a spectacular Winter Festival of Lights and frosty Icewine harvest celebrations during the winter months. In Niagara Falls, evening networking never leaves delegates looking at their watches. Whether they’re wanting casino excitement, live music or theatre, a captivating magic show or just a cozy pub to kick back in, they’ll find something that’s just their kind of fun. Our 300,000 square foot Scotiabank Convention Centre is literally just 250 steps away from the thundering Niagara Falls. See for yourself why this highly functional venue is quickly gaining a reputation as one of Canada’s best new convention centres. From the moment you put Niagara Falls on your list of considerations for your event, the team at Niagara Falls Business Events is just a phone call or email away, waiting to assist you with a wide variety of tasks and connect you with an invaluable network of local experts and suppliers.